Quotations that Rumi left us all to enjoy! These Rumi quotes will inspire you and bring you wisdom. You can find even more great quotes here. If you could get rid of yourself just once, the secret of secrets would open to you. Be like a river in generosity and giving help. Be like a sun in tenderness and pity. Be like night when covering other's faults. Be like a dead when furious and angry. Be like earth in modesty and humbleness. Be like a sea in tolerance. Be as you are or as you look like. He is a letter to everyone. You open it. It says, 'Live! I trust that you enjoyed these wonderful quotes Rumi gave to us all. 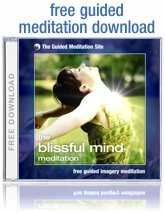 CLICK HERE for great meditation quotes, and other inspirational quotes.